How To Find Out What WordPress Theme a Website is Using? Home » How To Find Out What WordPress Theme A Website is Using? 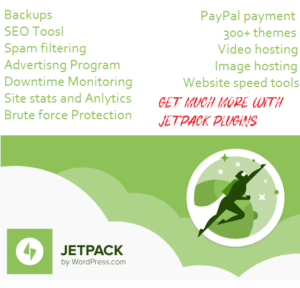 Free online tools to detect WordPress theme and plugin. Sometimes you visit a website and love the design of that website. You instantly want to know what WordPress theme that specific website is using. Normally most websites are using WordPress as their core platform because of its popularity, advanced features and ease of use. 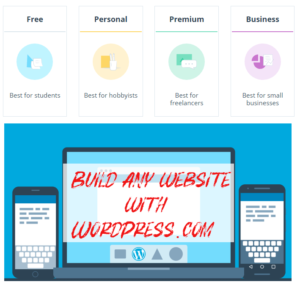 Today I am going to share some simple and easy tips and tools that will help you find out what WordPress theme a website is using. There are some tools that will provide detailed information about the theme and even list of plugins a website is using. You can view the source code of the page to find out the name of the active theme a website is using. If you are familiar with FireFox, Chrome Developer Tools and HTML and CSS then viewing source code won’t be difficult for you but if you don’t know HTML and CSS then this method can be confusing for you. But don’t worry even if you don’t know HTML and CSS and how to view the source code of web pages. I will teach you how you do it, it’s very simple and easy. Open any website in your favorite web browser. Such as Chrome, Firefox or Safari. Right click anywhere on the webpage and select View Page Source. A new window will appear with all the source code of web page. Now Press Ctrl+F to open find bar and type wp-content/themes. You will see wp-content/themes will be highlighted and just next to this you can see the name of active theme. If you will view the source of this blog justlearnwp.com, then you can see the following screenshot. Name of our theme is WatanLoveGreen. This is a child theme and parent theme is TwentySoxteen. You can also see the CSS links for parent theme. 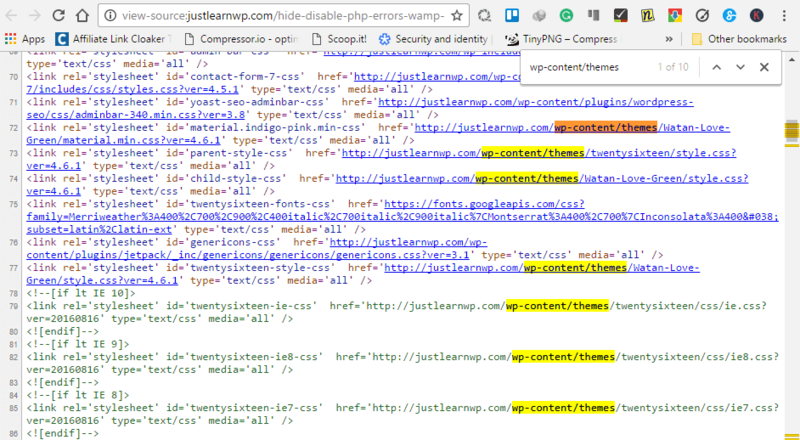 What WordPress Theme We are Using at JustLearnWP? So you can see it’s not difficult at all to view the source code and find the name of the theme. I found 2 very useful websites that display detailed information about plugins and theme a specific website is using. You just need to type URL of the website and these tools will display the detailed result. This is a very useful website to Find out WordPress theme or plugins that any website is using? You just need to type URL of any website. Simply visit http://www.wpthemedetector.com and type the URL of any website such as JustLearnWP.com. It will not only display theme details but, you will also see the list of the plugins. http://whatwpthemeisthat.com/ is another good and useful website to find out plugins and theme any website is using. You just need to provide URL of the website. You can also see the list of plugin website is using. If a website is using a child theme, you can also see details of the parent theme. If the theme is available to download free or not. This free online tool was built by the folks at Satori, who have themselves been building WordPress themes for over a decade: both as an Elite Author on ThemeForest and as the author of one of the most popular free themes on wordpress.org. The tool is minimalist in its design and outputs only the crucial information about a theme: its name, author, description, and of course a direct link to the theme’s official page (even if the scanned website uses a heavily modified version). That’s all you need to do if you want to find out What WordPress theme your favorite website is using?